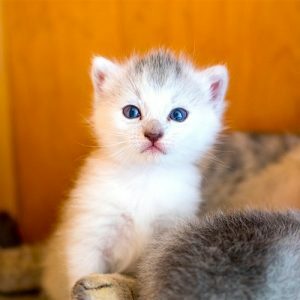 What Are Barn Cat Programs? Here's How Working Cat Programs Work. When I was growing up, my grandparents’ farm was a prime dumping ground for unwanted cats. Cats and kittens were always showing up at random, and some of them made it back to our home. The ones who remained at the farm got by. They had shelter, and it was assumed they would mostly live off the mice and occasional rabbits that they caught. My grandmother brought scraps out for cats, same as she did for the dog, and they usually had some cow’s milk left out for them in a plastic dish. (Nobody realized then that cow’s milk was not a cat’s best friend.) The cats didn’t get veterinary care, and they weren’t spayed or neutered. The matriarch of this ever-changing barn cat colony was Snow White, a tough old she-cat with different-colored eyes. Her kittens were considerably less tough, inbred and didn’t last nearly as long as she did. That’s the way it was on most farms back then. Years later, when my husband and I got our first 2 kittens from my uncle’s small dairy farm, I noticed that he actually kept a bag of dry cat food for the cats on a shelf out in the barn. Snow White and my grandfather would have been shocked. Being a barn cat still struck me as being a risky occupation. There was no health plan, lots of exposure to the elements and predators, and not a whole lot of benefits. Wouldn’t any cat rather live indoors with humans to wait on them? Well, not all of them would, as it turns out. 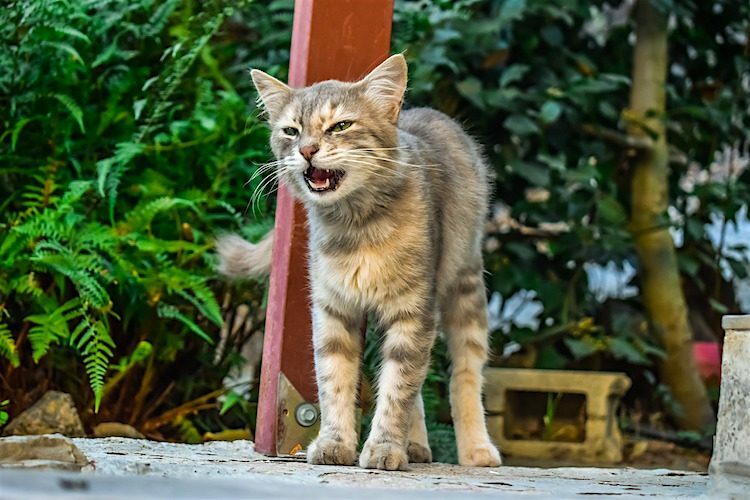 The Pet Animal Welfare Society (PAWS) in Norwalk, Connecticut, says that some cats “are just too independent to appreciate being cooped up” in a shelter. Or anywhere else, for that matter. “Cats who are feral, shy or fearful of people and who may prefer the company of other cats and animals” may not want to live indoors. Simply put, these cats actually like being outside. They don’t want to be traditional pets. 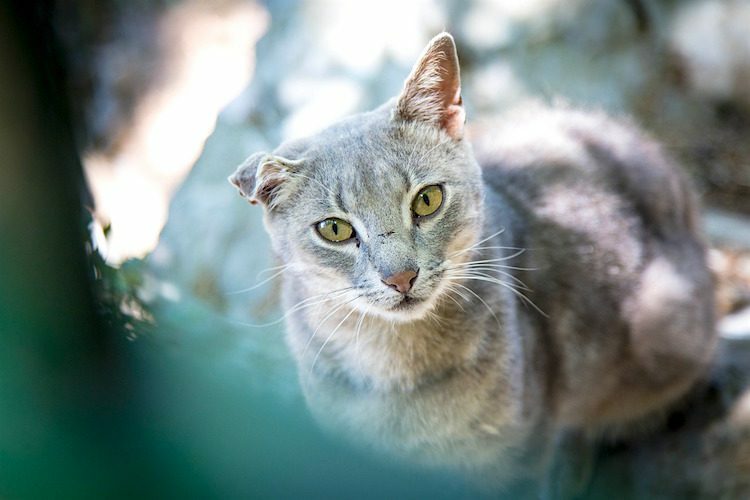 There’s a lot of debate over what constitutes a feral cat and whether or not they can be “homed” or re-domesticated. Based on her interactions with feral cats — 4 of whom adopted her — Berkeley isn’t so sure about that. 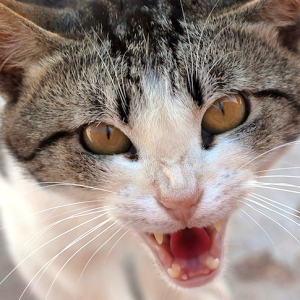 Feral cats choose how much they will or will not interact with us. To some extent, this is true of all cats — it’s just that feral cats have taken it to a higher level. I have encountered only a few thoroughly feral cats. One female, whom I fostered for a local group, pretty much hated people and spent her time living under my desk. She ended up as a permanent resident of the group’s facility, content to live among the other unadoptable cats there. She would’ve been a prime candidate for a barn cat program if the organization had had one. Their original territory might now be uninhabitable or dangerous (residents have complained, or the area is being developed). The shelter to which the cats were taken does not allow returns. Nobody is really sure where the cats lived originally. This is where barn cat programs come in. The idea of barn cat programs originated with shelters. 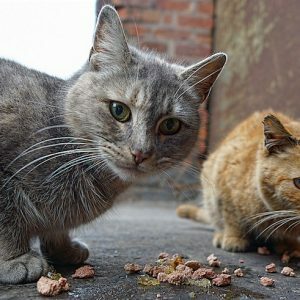 These shelters “used to see really high rates of euthanasia among feral cats, shy cats, or cats who couldn’t or wouldn’t use the litter box,” Jessalyn Pennington of the Windham County Humane Society (WCHS) in Brattleboro, Vermont, tells me. People started bringing kittens to the shelter for spaying/neutering, “which was a big step and an important one for keeping the population under control,” Pennington says. WCHS makes sure barn cats are spayed/neutered, vaccinated, dewormed and given a flea/tick preventive before going to the farms. They are also ear-tipped or microchipped for identification purposes. “So they’re pretty much set for 1 year,” Pennington says. It can be tricky to re-trap the cats for future vet visits, but the farmers can always make use of the shelter’s Havahart traps. There’s no charge for the traps, but the farmers do have to put down a deposit to ensure the traps come back. 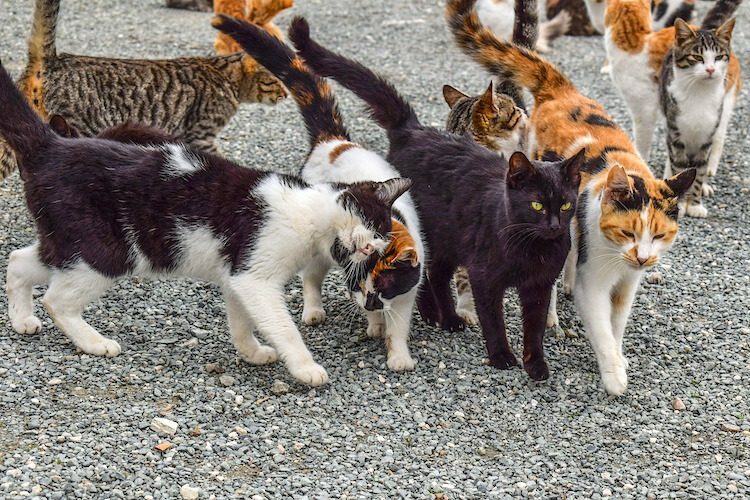 Barn cats are more social than people give them credit for, and Pennington and the other volunteers always suggest that the farmers adopt more than 1 cat. Partnering up with another cat often helps a feral or skittish cat relax more in their new surroundings. Of course, the cats in these programs aren’t limited to life on the farm. Home can be a stable, a nursery, a garage or a warehouse. There are certain considerations, of course. 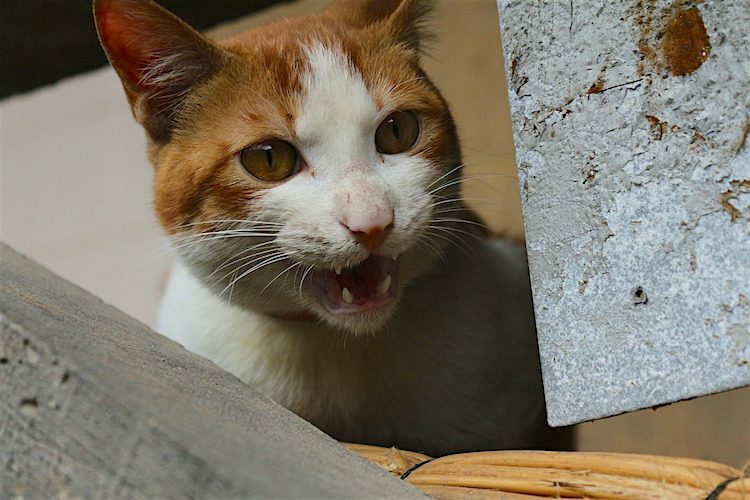 “For example, declawed cats, once slated for euthanasia due to temperament or bite histories, have been placed in warehouse jobs where they are in a safe, inside, environment and are still useful as a deterrent to mice and other rodents,” Frenden says. Some of the barn cat programs charge an adoption fee. Others don’t but ask that you make a reasonable donation to offset the cost of the veterinary care that each cat receives. When there are adoption fees, they’re pretty low. At the WCHS and Dakin, for instance, the barn cat adoption fee is $30 per cat. “I think that the benefit of that is that these are cats that aren’t easily adoptable,” Pennington says. Frenden advises against an adoption fee. In my opinion, these barn cat adoption fees (like any adoption fees) tend to weed out undesirable adopters. Pennington says there’s “some wiggle room” — that it’s not impossible for barn cats to bond with their humans. But she also has what she calls “her super success story” of 2 very feral cats whom she placed with a woman. “She can pet them now, and one even goes up on her lap, which is incredible to me,” Pennington says. With barn cats, as with all cats, you can never assume anything. “Barn Cat Program.” Austin Pets Alive! https://www.austinpetsalive.org/about/programs/barn-cat-placements/. 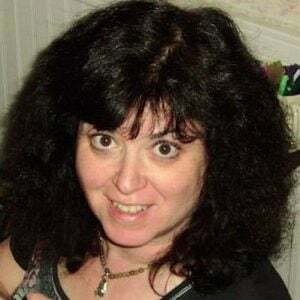 Berkeley, Ellen Perry. Maverick Cats: Encounters With Feral Cats. New England Press. 2001. “Barn Cats/Working Cats.” Dakin Humane Society. https://www.dakinhumane.org/barn-cats.html. Frenden, Monica. “Barn Cat 101: Starting a Barn Cat Program in Your Community.” https://www.maddiesfund.org/assets/documents/Institute/APA!%20Barn%20Cat%20Handbook.pdf. Frye, Elizabeth. “Barn Cat Placement Program: A Simple Shelter Solution.” Huffington Post. Oct. 20, 2015. https://www.huffingtonpost.com/elizabeth-frye/barn-cat-placement-progra_b_8334110.html.